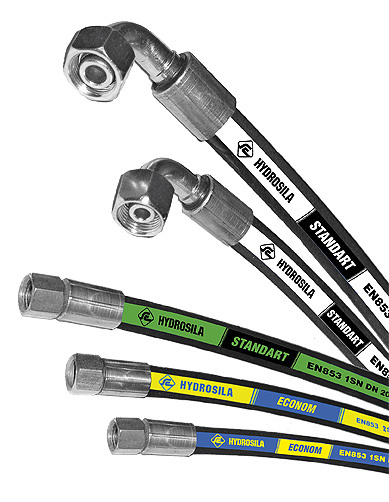 For manufacturing of these series is used the high-quality 1-braided rubber of domestic producers for working pressure up to 220 bar and operation life - at least 250,000 cycles and 2-braided rubber of domestic producers for working pressure up to 280 bar and operation life - at least 350,000 cycles. And high quality 4-winder rubber domestic and international producers for working pressure up to 400 bar. Operation life - not less than 600,000 cycles. - of length variety according to customers request. - quick release couplings with different standard sizes and interchangeable according to ISO 7241-A with working pressures up to 250 bar.